The advent of farming was a key moment in human history. By intensively exploiting the surrounding land early farmers could gather enough food to stay in one place all year round, allowing large permanent cities to develop. The large quantity of food produced also meant that not everybody had to spend all their time working the fields. Some could specialise as craftsmen and learn the skills needed to develop new and better technology. Nearly every subsequent invention is a result of experts being able to innovate rather than work the fields. The earliest evidence we have for farming in the archaeological record are the first domesticated animals and plants, which date to ~11,000 years ago in the Middle East. Domesticates can be identified because farming has acted as a source of artifical selection, resulting in physical changes that separate them from the wild versions. This artifical selection isn’t necassarily intention. For example, early farmers could only sow seeds they were able to harvest. Thus plants with mutations that meant less seeds were lost prior to harvest would get to reproduce in greater numbers (Kislev et al., 1992). However, this means that plants and animals must have already been farmed for some time prior to domestication in order to acquire the characteristics that separate them from their wild relatives. So farming was likely developed at some point prior to 11,000 years ago; but when? One way to try and find this out is to look for when people first began to eat large quantities of the wild ancestors of domesticates. The earliest evidence we have for large scale consumption of wild cereals comes from Ohalo 2 in Israel (although there’s no evidence of manwiches). The site was submerged under Lake Galilee and only discovered when a drought caused water levels to drop. It was inhabited between 19 – 21,000 years ago which makes it a full 10,000 years older than the earliest evidence of domestication (Nadel et al, 1995). Large quantities of wild barley and wheat seeds have been found at Ohalo (Weiss et al., 2004). 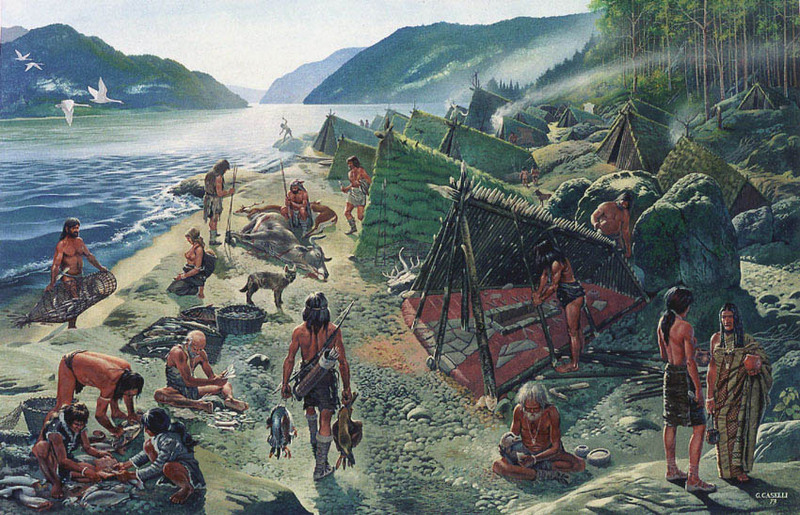 This key site, documenting the first genesis of the modern diet consists of…3 huts. Whilst not particularly impressive Ohalo is very interesting. For example, there’s also evidence that these cereals were being ground up to make dough and then baked in an oven (Piperno et al, 2004). Ohalo 2 thus marks the first evidence we have of large scale consumption of cereals and the earliest evidence of baking in the whole of human history. I can see the cook now, huddled over the oven in a chef’s hat made of animal skins hoping his prehistoric cupcakes don’t burn. The fact they were baking food may seem like strong evidence they were farming these crops, but in actual fact many modern hunter-gatherers process wild grasses in this manner (Piperno et al., 2004). However there is other evidence farming was occurring. For starters there’s the fact that both fruit and cereals were consumed at the site, which are available at different times of the year (Kislev et al, 1992). 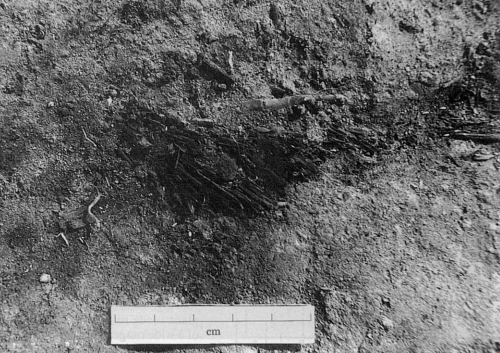 This indicates the site was being inhabited for several months at a time, something hunter-gatherers rarely do. Further there’s microwear evidence. The food you eat scratches your teeth at the microscopic level. By looking at this evidence we can thus infer what kind of food was being eaten. The microwear of those living at Ohalo is most similar to the microwear of early farmers who lived in the same area a few thousand years later. It’s also very different from known hunter-gatherers living at the same time (Mahoney, 2007). Unfortunately this evidence is also circumstantial. 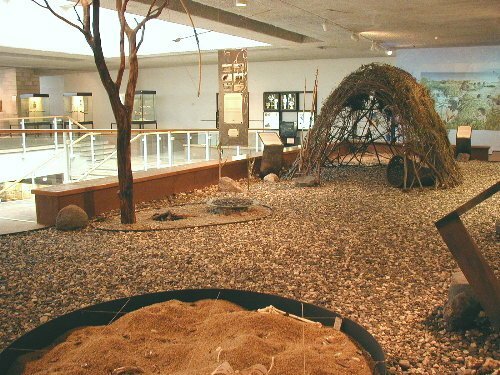 Long term habitation of sites is not unknown amongst hunter-gatherers (e.g. Lepenski Vir, where the river was so bountiful hunter-gatherers could live in “cities” year round) and the microwear diet just tells us that they were eating lots of cereals, not that the cereals themselves were necessarily farmed. Unless it can be determined they were eating too many to be obtained naturally (which probably can’t be done) there’s no real way to tell if this means they were farming. This is the problem with all attempts to find evidence of pre-domesticate farming: the only definitive evidence we have that farming is taking place is the presence of domesticated animals! As such all we have is a lot of circumstantial evidence that something different was occurring at Ohalo, not that that something was farming. Nonetheless, whilst we can’t say they were farming at Ohalo they do seem to have been taking the first steps in that direction. They were processing food in new ways and intensively exploiting the cereals that would one day be domesticated. This proved so bountiful they were able to live in the same spot for several months of the year. Modern civilisation seems to have had very humble beginnings 21,000 years ago in a small village on the shores of Lake Galilee, where a group of people took the first small steps towards the agriculture we now rely upon. Whilst they may not have been farming they were certainly travelling in that direction. Next time you sit down with a loaf of bread (or manwich), think back to those 3 meagre huts were it all began. Kislev, M. E., Nadel, D., & Carmi, I. (1992). Epipalaeolithic (19,000 BP) cereal and fruit diet at Ohalo II, Sea of Galilee, Israel. Review of Palaeobotany and Palynology, 73(1), 161-166. Nadel, D., Carmi, I., & Segal, D. (1995). Radiocarbon dating of Ohalo II: archaeological and methodological implications. Journal of archaeological science, 22(6), 811-822. Mahoney, P. (2007). Human dental microwear from Ohalo II (22,500–23,500 cal BP), Southern Levant. American journal of physical anthropology, 132(4), 489-500. Piperno, D. R., Weiss, E., Holst, I., & Nadel, D. (2004). Processing of wild cereal grains in the Upper Palaeolithic revealed by starch grain analysis.Nature, 430(7000), 670-673. Weiss, E., Wetterstrom, W., Nadel, D., & Bar-Yosef, O. (2004). The broad spectrum revisited: Evidence from plant remains. Proceedings of the National Academy of Sciences of the United States of America, 101(26), 9551-9555. Next post: When did humans leave Africa? Actually aurochs went extinct in the 1600s in Poland. 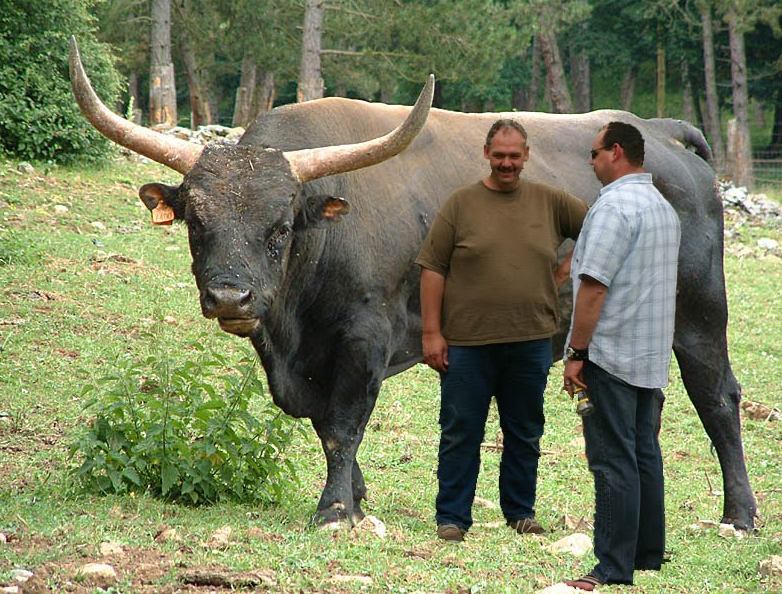 Today’s “aurochs” were reconstitued from primitive breeds of cattles in the 20th century. Unsurprisingly thus, today’s aurochs resemble Maremmana cattles that were heavily relied upon when reconstituing the species. That’s true, but I wasn’t able to find any Auroch skeletons with humans in the picture for comparison. I’d hoped that the “modern” version is close enough so as the whole point is still valid. As an interesting aside, there’s a project in the works to try and “clone” an Auroch and reintroduce them into the wild. I welcome the change, if only because the fauna where I live is quite dull. In both the east and western deserts of Egypt gathering of wild grains has been traditionally practiced, and when I was working in the Red Sea Hills area (eastern desert) Beja sometimes would collect the seeds from wild (as well as ‘fallen’ domestic grains) – but that was a couple of decades ago + and it’s doubtful one would find it today. It is a fairly common behaviour, and it’s interesting to think how it’s only a few steps removed from the “revolution” known as farming. Yeah, I’m a frequent reader of WEIT. I do like Jerry Coyne’s writings (although ironically have never gotten around to reading his book). Am I the only one who notices that the first picture is horribly photoshopped…? “Note how bloody massive they are.” Um, seriously?